The music-centric Nokia 3250 has hit the 1 million units shipped milestone. It began shipping just four months ago, making the figure all the more impressive. The 3250 is a S60 3rd edition smartphone with the addition of music control keys. 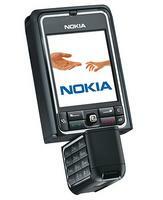 Initial sales figures for Nokia's other music themed handset, the N91, have not been released.